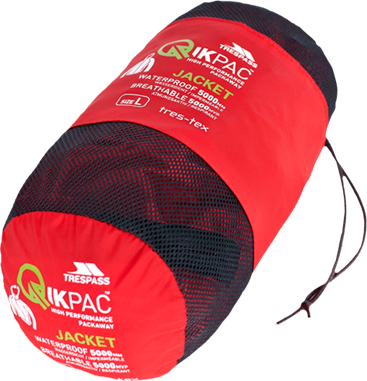 QikPac is packaway, high performance, waterproof and windproof rainwear. Wherever and whenever you need protection from the rain and wind – in a moment’s notice. Trespass down jackets will keep you as warm as toast as you battle the elements… whatever the weather! Cut that icy wind and GO FURTHER!